As always, test these updates on a test environment before deploying to production. As always, deploy to a Test / Dev system and fully test before deploying to any Production system. I recently looked into an issue (more of an annoyance rather than an issue as it doesn’t cause any errors / problems) for the Project Server 2010 cube build status page displaying the incorrect build stages times. I don’t have a resolution but thought I would share my findings. As you can see in the tracking comments section the cube was built today (20/10/2011) but the dates displayed in the build stages section shows 19/10/2011. On the environment where I was investigating the issue (not my test environment), they only had one cube. I decided to look in the Published database and could see where the dates were coming from, the table is MSP_WEB_CUBE_STATUS. This table keeps historical data for cubes that no longer exist which is fine but for some reason the cube build status page doesn’t show the correct start and end times at each stage for the cube that you are checking. The stored procedure that appears to be used to return this data (MSP_WEB_SP_QRY_CUBESTATUS_GetAllStatus) does filter for the correct cube and returns the correct time/dates so it is unclear how this page shows the incorrect time/dates. 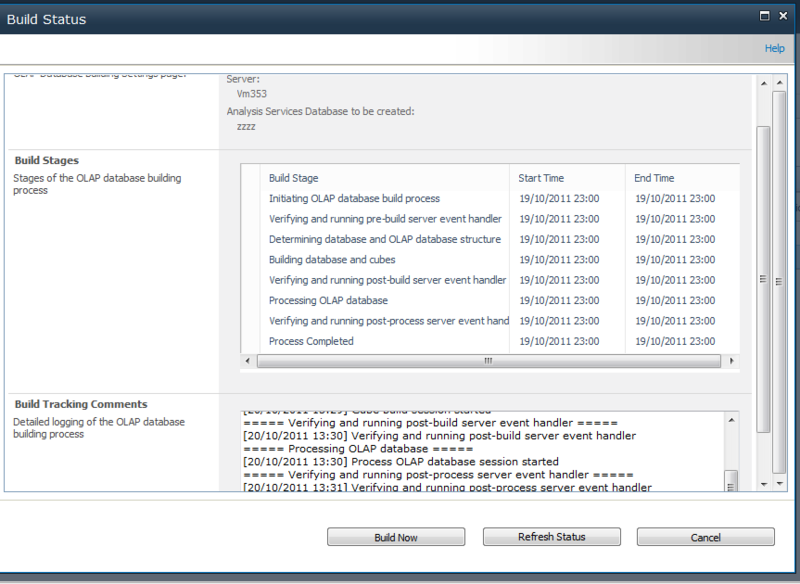 As mentioned there is currently no resolution to this as it would not be recommended to update the Stored Procedure and this probably needs to be raised to Microsoft if this is causing issues, but hopefully this will explain the “random” time and dates displayed in the build stages section on the cube build status page. As the message suggests, this warning is given because either one of the Resources or Calendars have been edited since the Project was last saved. If you want to see the effect of the change straightaway click Sync otherwise all will update when the project is modified and saved. To demonstrate how this warning is replicated see the steps below. 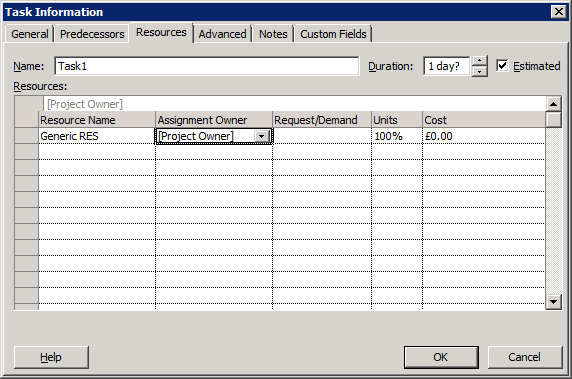 As mentioned earlier you can either click Sync to update the plan with the new Resource cost or this will update when making changes to the project and saving. 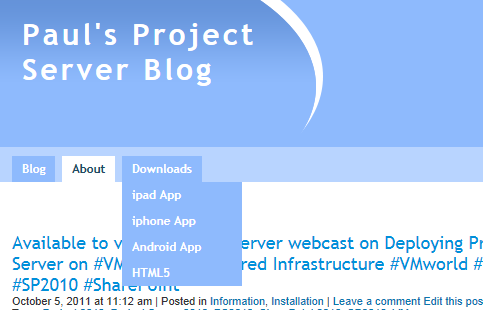 My colleague Giles Hamson has created a mobile app that provides RSS feeds from the SharePoint and Project Server communities as well as other useful information such as links to podcasts, user groups details etc. I highly recommend downloading the App to give you up to date information on the move! 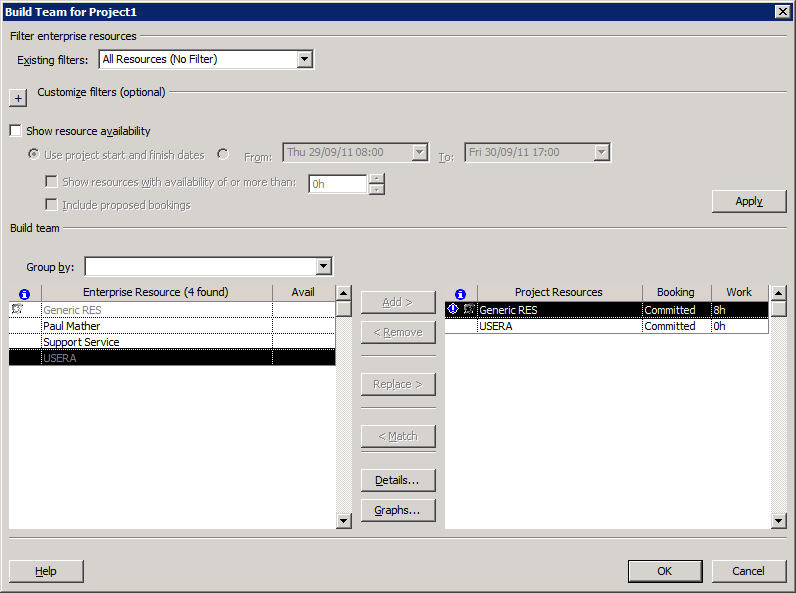 Recently an issue came up at a client where they would get “Unknown Resource” error pop up when adding a second resource to a task using the Resources Tab on the Task Information dialog box in Project Professional. It is probably easier to explain the issue by showing the repro steps below. As the error pops up after adding UserA it is not obvious why this occurs. 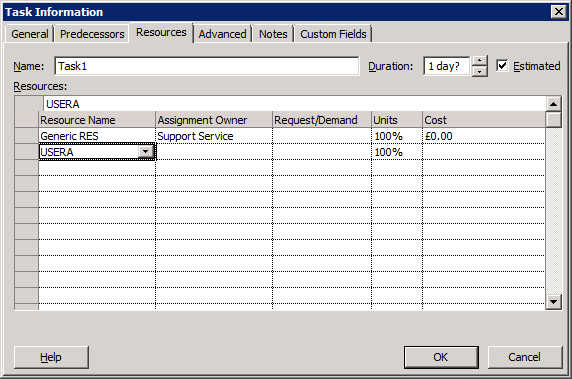 The reason this occurs is because Support Service is not part of the project team and I’m not the Project Owner. 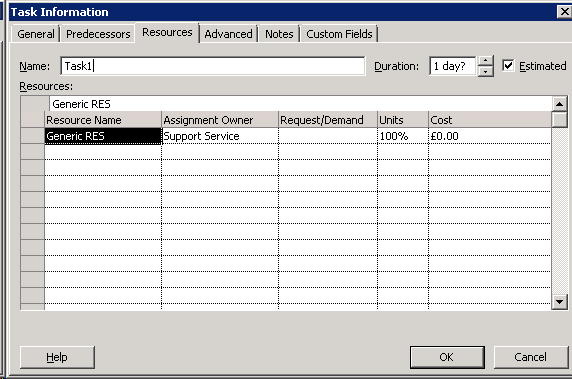 If I opened the project plan as Support Service and added UserA I would not see this issue. There are several ways around this for the example above, these are detailed below.